BOOZERS across the world love the taste of vodka. But Sboniso Mtshali has his own use for the Russian drink! The 36-year-old from Meadowlands zone 11, Soweto told Daily Sun : “It performs well when it’s drunk. I pour the vodka in a glass and put my 4-5 in it for a while. He said while other people were buying vodka to get drunk, he used it to boost his sexual performance. 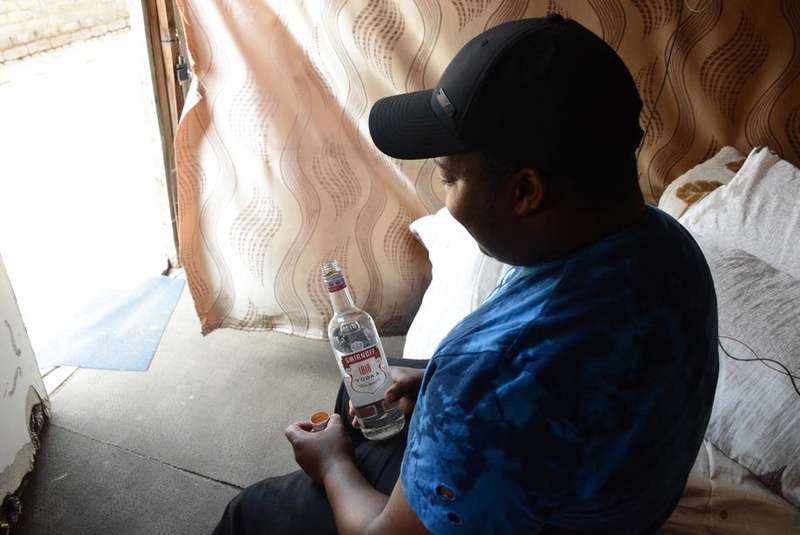 “I don’t know if there will be consequences at a later stage but for now the vodka does wonders for me and I will continue using it,” said Sboniso. He said sometimes he just rubbed some vodka on his 4-5 as dipping it into a full cup was wasteful. Sboniso said his friend told him the secret of his popularity with women. Sboniso said he started giving his 4-5 vodka a year ago and his wife had been happy since then. He believes men should do everything possible to keep their women happy. “If you have to get your 4-5 drunk to make her happy, do it,” he said. Sboniso said often men were the reason their women cheated.